From that standpoint, product design, architecture, graphics, car design and clothing, for example, would be seen as variations on the theme of working out what form things take to solve a problem. Further, industrial design and architecture would be on an equal footing with all the other branches of design: among which are transport, furniture, interaction and fashion. One of many items designed by Bellini. It is when viewed historically that architecture is considered the mother of the design disciplines, probably because the need for shelter is the most basic material one of all. Architecture has thus had a head start as a free-standing discipline. Only later were hand-craft and clothing industrialised and professionalised. With this pre-eminent status (self-declared), architects tend to feel they can try their hand at other disciplines; what architect has not designed a chair or a lamp, for example? 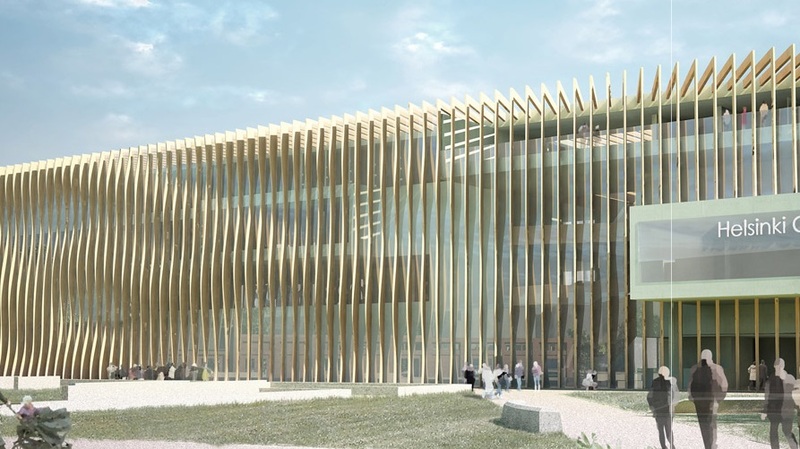 But are there any industrial designers who have tried to design a building? A select set of architects have attempted to design automobiles among which are Le Corbusier, Walter Gropius and Buckminster Fuller (if we see him as an architect and not an inventor). 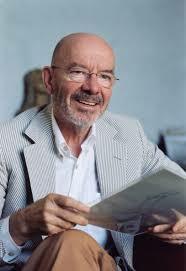 It is unsurprising that the most successful of these architect/designers has been an Italian, Mario Bellini. Distinguishing Bellini from his architect peers is that his designs were convincingly productionised and brought something good from architecture into automotive design (Le Corbusier showed no understanding of the form at all). For this reason we have decided to interview Mario Bellini and pose a few questions about automotive design. 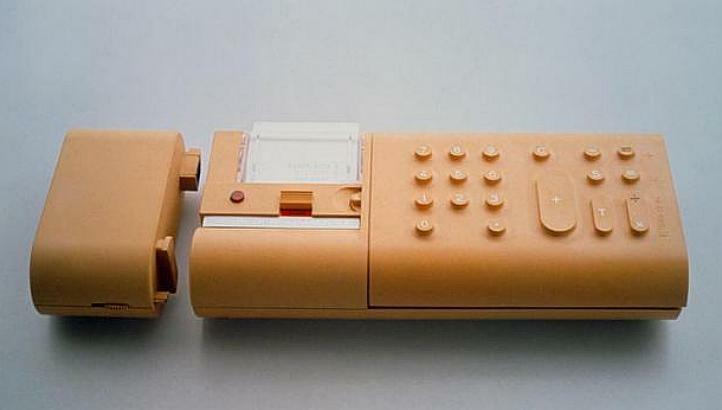 Bellini’s career has been full of variety: buildings, town planning, furniture and products. Bellini has had the good fortune to have worked at a time of tremendous growth and creativity in Italian design. Clients such as Brionvega, Olivetti, B&B Italia and Cassina enjoyed good markets and showed exemplary commitment to design, allowing Bellini to use his creativity to the full and to achieve recognition from clients, customers and critics. The New York Museum of Modern Art saw fit to acquire 25 of Bellini’s designs, and also to stage a retrospective of his work in 1987. Helsinki Central Library: notice the decorative but functional louvres. Indirect and reflected lighting is admitted and the undulations create textural interest. Renault hired Bellini as a consultant for half a decade in the early 70s. This, and his general ability, then led to work with Fiat and Lancia. For Fiat, there was a special edition of the 132 saloon which featured unique alloy wheels and body trim. 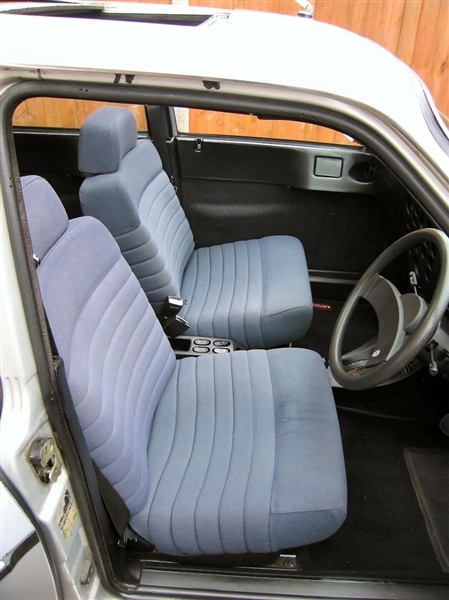 The interior of the 1980 Lancia Trevi was designed in the context of the need to update the 1972 Beta, taking into account new insight in ergonomics and methods of production. In 1972 car interiors were still not fully integrated and there were hold-over approaches to materials and forms which referred to older conceptions of interior architecture. The 70s was a decade of step-change in vehicle interiors and Bellini’s concepts bravely showed how that integration of elements might look. 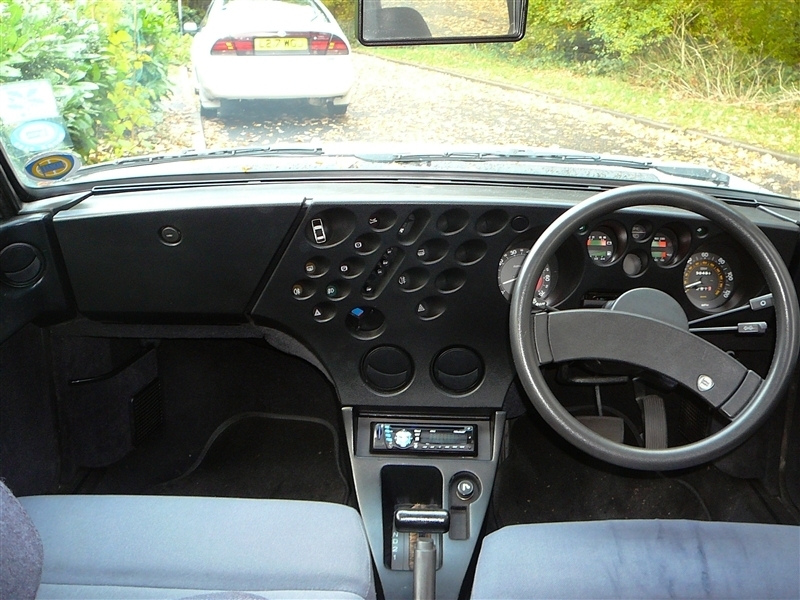 For the 1980 interior Bellini conceived a fully unified dashboard and centre console, with the door cappings also connecting clearly to the dashboard. Usually the elements were not visually unified. Bellini saw the interior as a totality and not as a collection of disjointed parts so the interior has a homogeneity and unity that was singular. It is true to say the design was controversial and still is. The UK press was especially critical yet the underlying concept is something we take for granted today. The design’s central idea won the argument in the long term about how to view a vehicle interior. In hindsight and especially bearing in mind the drab uniformity and over-complexity of contemporary designs, one can see the merits of Bellini’s approach far more clearly. I would argue that the Trevi interior is one of a meagre handful of very individual interior designs that strike a difficult balance. That balance is to offer a clear and singular design theme but without verging on personal idiosyncrasy. Examples of this small class might be the 1959 Panhard PL17, the 1970 Citroen SM, the 1974 Citroen CX, the 1984 Renault Espace and the 1998 Fiat Multipla. 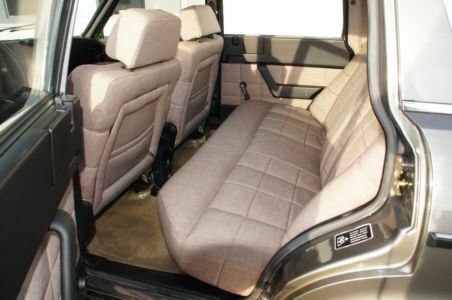 Interdisciplinary: Italian furniture design brought into the car interior (1980 Lancia Trevi). What is also interesting about the case of Bellini is that as a designer, his automotive work links his Italian sensibility (the use of colour, a sculptural sense) with the other need: for the work to be impersonal in the good sense. 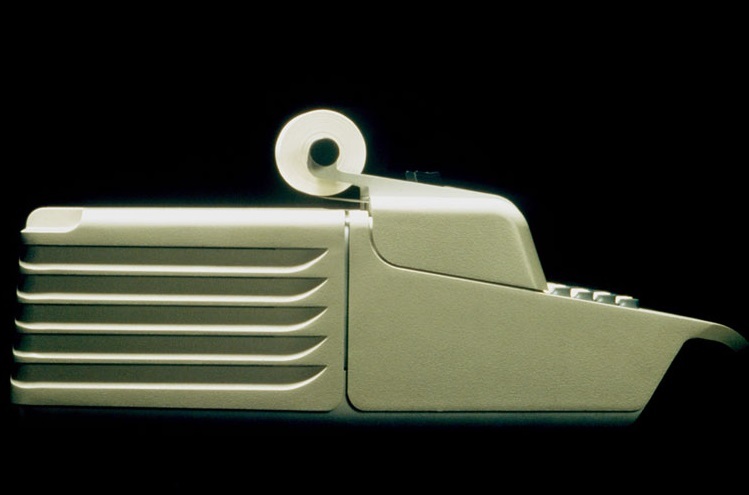 Bellini’s Olivetti keyboards, the 1978 Spot television and the 1990 Lamy fountain pen are not Mario Bellini’s own personal tastes made manifest; rather they reflect his judgement. The person of Bellini has disappeared, much as a method actor subsumes his personality into that of the role. In precisely the same way, the Trevi interior is the best solution appropriate for the client and for the user. For an architect, this is unusual. There is no claim to be “fine art” and the design is the better for it. I think this is the core of why Bellini has been able to engage with automotive design. I would assume that for Bellini the historical divisions of the design disciplines have no meaning. Each brief, whether it is a building, product, an item of furniture or a car interior, is a set of requirements to be met with the best available solutions. I would contrast this with the way in which certain design houses seek to impose an identifiable style on their products even if it is not appropriate. A view of the slightly remodelled Lancia Trevi rear compartment. In summary, Mario Bellini’s work is representative of a special time in automotive design. Especially in retrospect, his contributions were informed by an understanding of the requirements and an openness to new solutions. Whilst it is true that designers from many fields work in car design now, this is not the same as hiring an external consultant with experience of a range of live projects at all scales. Looking at the breadth of Bellini’s work, one can only wish the car industry would once again be as open to such creative inputs. Driven to Write (DTW): Architectural design has eschewed decoration while car design is intrinsically driven by expressive articulation. Why do you think architects (generally) have been unable to accept what is seen as normal by designers and customers in the automotive field? Mario Bellini (MB): It’s a very complex matter which deserves a complex answer. Let’s try a possible reason: a car is for few years and belongs to everybody and to everywhere, architecture is “forever” and belongs to an individual or to a site and/or to a city. DTW: How do you feel CAD has affected the aesthetics of car design? MB: A lot. But the same can be said for today’s architecture. DTW: Do you find the gestation time in the car industry frustrating compared with, say, the furniture industry? MB: Not really… If some furniture designs can be finalized quite fast, sometimes they too can take very long… and architecture very often, in my experience, can take between seven and ten years! DTW: Would you agree that Italian vehicle interiors of the 70s and 80s were very much influenced by Italian furniture design? Why do you think automotive design is no longer open to such influences? MB: The car-design digital processes have increasingly demanded for highly specialized designers only… So widening the gap between “domestic interiors” (the architect’s field) and automotive designers (“stylists”) trained by dedicated schools. DTW: What effect do you think focus groups have on automotive design? MB: Focus groups often risk to feed back the car industry with the same messages used to feed to the consumers! DTW: Architects don’t – generally – consult their users. What obstacles do you see preventing architecture from being as user-centred as product design and automotive design? MB: Buildings are generally single “prototypes” for a private individual client (the “user”) or for an investor client which will himself represent the final users. DTW: You’ve done work for Fiat Group and you are Italian. How do you feel about their current situation? MB: By marrying Jeep and 500 it seems they succeeded avoiding what was to be a double failure. DTW: What car do you drive? MB: I’ve always liked cabriolet cars (the closest to my kar-a-sutra dream..) I had many of them. We are now only two of us and, even if very far from my ideal, at the present I drive a Mercedes SL 500 which at least runs smoothly and noiselessly because of its high performances and its perfect roof mechanism. MB: Sometimes the “cheap” design expedients to simulate energy, sportsmanship, aggressiveness, originality… what often those cars lacks of. DTW: Would you like to tackle an exterior car design project? If so, which manufacturer would be the most interesting for you? MB: Why nobody is trying to persuade CITROEN to regain the absolute top in car design, looking back to the DS, a legendary masterpiece still unsurpassed, not only for the sculptural body, but further more for its unique feeling of comfort and way of living a car interior. In those years I got two of them and no other car has ever given me the same driving and travelling pleasure. DTW: Your contribution to car (interior) design could be described as avant garde. Do you think car exterior design could benefit from an alternative approach – say from designers schooled in a different arena? MB: Why not? It could well be. But one should be prepared to be confronted with a totally new set of technical and human behavior premises. 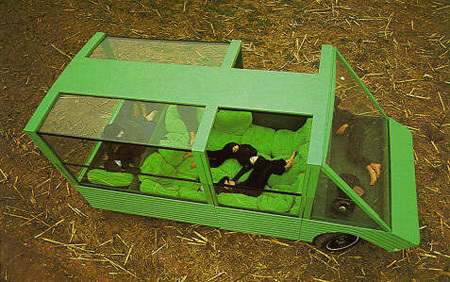 1973 Kar-a-Sutra reconsiders interior vehicular space. DTW: Can you say which vehicles you worked on for Renault? If so, which work are most pleased with? MB: I’ve been consulting for Renault between 1978 and 1981, mostly researching for the interiors, and it is difficult to find it in a given production model. But it is today widely acknowledged by car design historians that a substantial contribution from my side to this company has been an indirect one, derived from my ’72 Kar-a-Sutra concept car. Kar-a-Sutra had in fact widely influenced the car design, thru the birth of the Renault Espace: the starter of the European MPV typology, which will definitely replace about the 50% of the more conventional sedans. 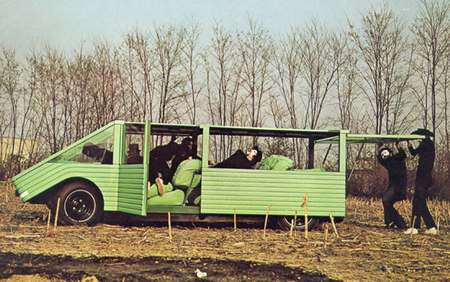 1973 Kar-a-Sutra concept debuted at MoMa, at the Italy -New Domestic Landscape Show. Thanks for stopping by today! Did you find what you were after? I’d argue that Bellini’s aesthetic (and there is such a thing, despite his creative adaptability) has been particularly influential on the original Fiat Ritmo’s dashboard design, even though he apparently did not design that one himself. Almost forgotten now, it was a very early example of a product design approach applied to a mass market vehicle. And a strikingly good one at that, too. Although the MPV sector has imploded in recent years, Kar-a-sutra should reattain significance once autonomous driving becomes a serious issue and interior design is seen as the main possible competitive advantage. Despite being fully aware that you’ll probably want my guts served on a stick for saying so, I must stress that the Trevi’s contradictoriness continues to irritate me. Why, for all that’s holy and good in this world, would anyone put as avantgarde, bold, daring, modern and unique an interior into a body shell that’s so retrograde it makes a Volvo 200 saloon’s appearance come across as being outright dashing? Presumably there was no alternative at the time. I don’t see why the exterior and interior have to be in aesthetic keeping with one another. Also, the exterior is not bad; it’s quite visually rich, in my view.